Distinctive features: Recurved phyllaries. These are the tiny leaf-like bracts that surround the flower head. 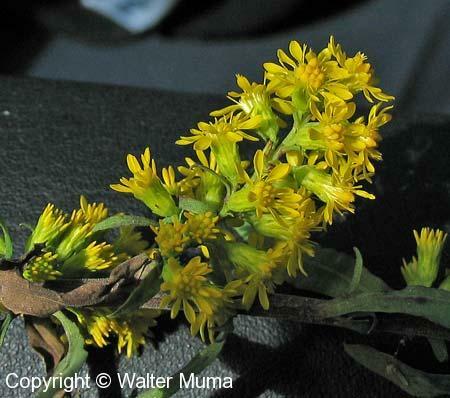  Zigzag Goldenrod (Solidago flexicaulis) - leaves similar. 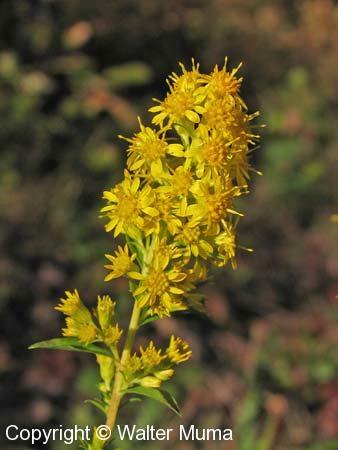  Bog Goldenrod (Solidago uliginosa) - grows in bogs. 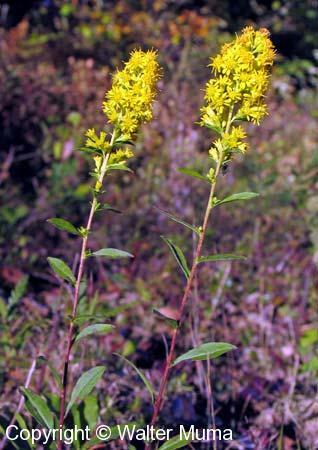 Flowers: Summer, Autumn; Yellow; Indistinguishable parts (petals); Yelow, late summer & fall.This species of goldenrod is characterised by recurved phyllaries. These are the tiny leaf-like bracts that surround the flower head. Habitat: Forests, Fields and Open Areas; Open fields. Notes: This is a tough species to ID, unless you see the recurved phyllaries. Photographs: 128 photographs available, of which 11 are featured on this page. SCROLL DOWN FOR PHOTOGRAPHS. 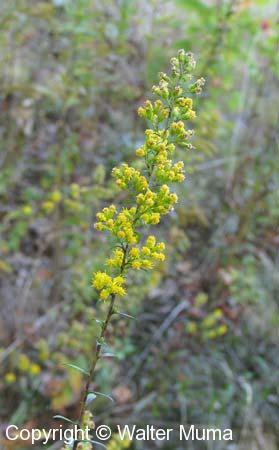 Typical Stout Goldenrod form. Note the upper stem leaves are small. Closeup of the flowers. The flower heads are close to the stem. The flower heads of this species are large. A composite photo showing the recurved phyllaries. Goldenrods flower from the top down - notice that the upper flowers are finished. Seeds (beginning of October). 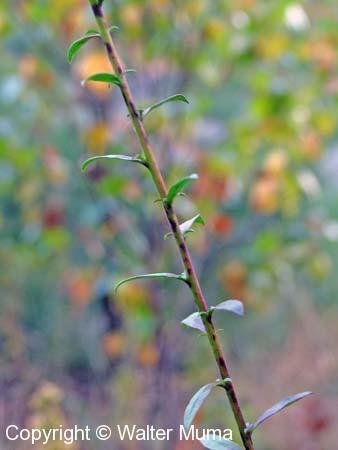 This specimen is about as broad as this plant gets - the flower spikes (now seeds) are held fairly close to the main stem. 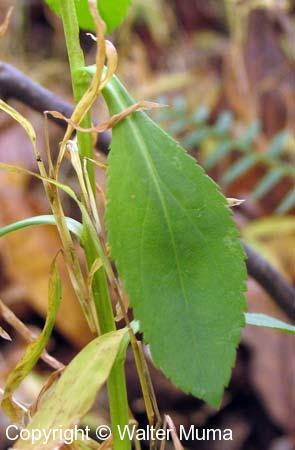 Upper stem leaves are small. 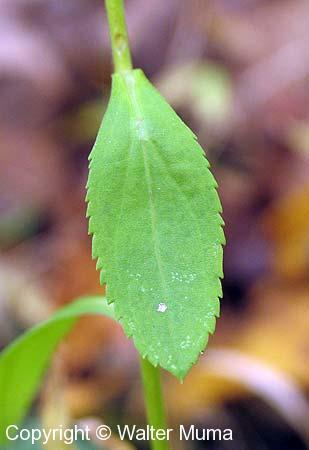 The mid and lower stem leaves are much bigger.